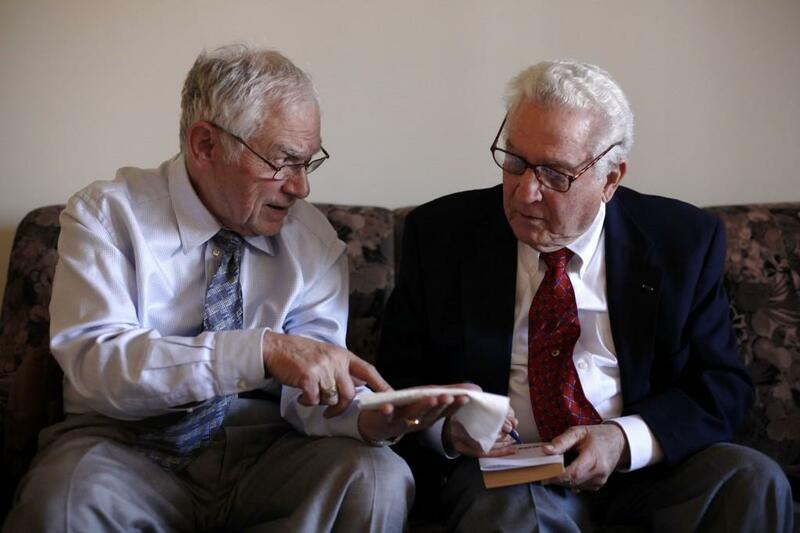 In honor of Yom HaShoah, The Duke Center for Jewish Studies in connection with the Coalition for Preserving Memory is proud to welcome Ernie Gross and Don Greenbaum. Ernie Gross survived the horror of Dachau, while Don Greenbaum helped to liberate the Camp as part of Patton's Third Army. Please join us for a dialogue between these exceptional men, followed by a reception. Ernie Gross was born in 1929 in Turtz, Romania. His father was a salesman and his mother was a Romanian language tutor. He was one of nine children but two passed away in their infancy. In April 1944, when Ernie was 15 years old the Hungarian government deported him and his family to the Seulish ghetto for three weeks and then to Auschwitz, where he lost his parents and younger siblings. Within days he was sent to the first of several labor camps where Ernie spent nearly a year. When he was no longer strong enough to work, the Nazis sent Ernie by train to Dachau. Don Greenbaum served in World War II as a forward observer, operating on the front lines. Don earned a Purple Heart in Germany on Nov. 9, 1944, and after his release from an army hospital, fought in the Battle of the Bulge. Under the command of General George Patton's Third Army, he and the troops in his divisions (283rd Field Artillery Battalion) were among the first Americans to liberate Dachau concentration camp on April 29, 1945.